Cardiff’s Craig ‘The Kid’ Kennedy (11-0, 6KO) will get the opportunity to build on his momentum when he faces Liverpool’s crafty Courtney Fry (19-6, 6KO). 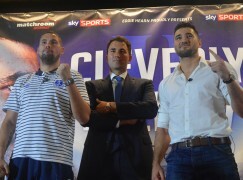 The cruiserweights will meet to contest a 10 round fight, which will also double up as an eliminator for the British title. Sanigar Events will promote the show, titled ‘Unleash The Dragon’, at the Newport Centre on Saturday 12 June. Victory will take the winner one step closer to a shot at the Lonsdale belt, which is currently held by Ovill McKenzie. 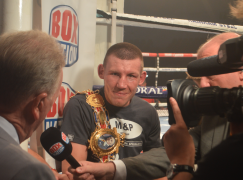 The 35-year-old, who also has the Commonwealth title, most recently defended his titles with a Majority Decision over Blackpool’s Matty Askin, who prepared for the fight by sparring Kennedy – it was the first time McKenzie had gone the 12 round distance in his 12 year career. 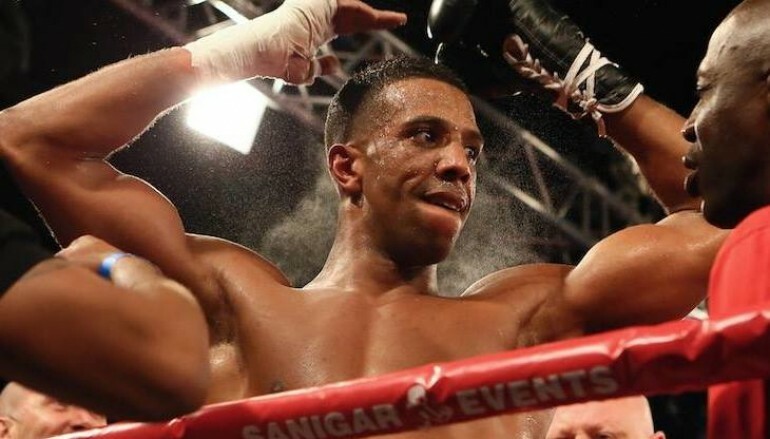 After a steady apprenticeship, Kennedy came through his first test against London’s Wadi Camacho in March, impressively dropping and stopping the ex-Prizefighter tournament winner in seven rounds. The pair had originally fought in the October prior to the rematch but Camacho was disqualified after an alleged bite in a controversial encounter. Kennedy, who is trained and managed by former WBO world featherweight champion Steve Robinson, will be in familiar territory having fought at the venue on five previous occasions in his two year career. The prospect, who is undefeated in 11 outings, has scored three knockouts at the Newport Centre and collected his first career title there in March 2013, the British Masters Bronze belt. On the other hand, Fry has produced mixed results since stepping up to cruiserweight. 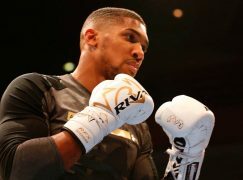 The 39-year-old retired after five rounds in the ring with faded legend Roy Jones Jnr in July but then upset John Lewis Dickinson in November, dropping the former British champion numerous times on route to a decision win by a one point margin. Fry, who competed in the Commonwealth and Olympic Games as an amateur, has spent the majority of his career in the light-heavyweight division. In 2009, Fry unsuccessfully challenged Cefn Fforest’s Nathan Cleverly for the British title, suffering an eighth round stoppage defeat. 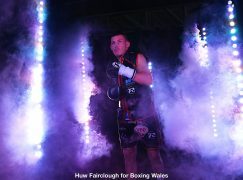 The adopted Scouser called time on his days in the 175lbs category in 2014 when he suffered back-to-back defeats to two more Welshmen in the space of six months against Swansea’s Enzo Maccarinelli and Mountain Ash’s Nathan King. Image by Huw Fairclough.